"The soul which recommends itself to me by the recitation of the Rosary, shall not perish ". 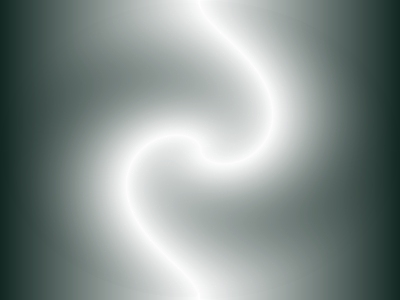 Promise of the Blessed Virgin Mary. 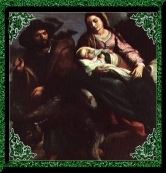 The Rosary of the Seven Sorrows is the Meditation on the Mysteries and Sorrows of our Blessed Virgin Mary, who suffered silently during her life. The rosary beads are grouped into seven beads of seven with a total of forty nine beads with three additional beads and a Crucifix. Each group of seven begins with One Our Father, and seven Hail Mary, where we honor and learn to imitate the life of our Lady and her virtues. Three Hail Marys are recited in remembrance of the tears that our Mother shed because of the suffering of her Divine Son and plead for repentance for the sins committed. 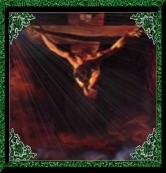 O Lord, Jesus Christ, I am truly sorry for my sins. 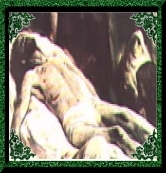 I humbly ask Your forgiveness, and I promise with Your help to prove worthy of Your love by sharing in Your Passion and death through Our Blessed Mother's sorrows. Amen. Let us Pray Lord Jesus, we now implore, both for the present and for the hour of our death, the intercession of the most Blessed Virgin Mary, Thy Mother, whose holy soul was pierced at the time of Thy passion by a sword of grief. Grant us this favor, O Savior of the world, Who livest and reignest with the Father and the Holy Spirit forever and ever. Amen. 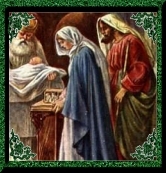 Mary and Joseph took the Child Jesus to the Temple. 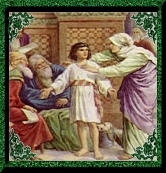 Simeon,inspired by the Holy Spirit, met them and told Joseph and Mary of the great sufferings of Jesus and Mary. He told Mary that a sword would pierce her heart. How great was the shock to Mary's heart at hearing the sorrowful words. 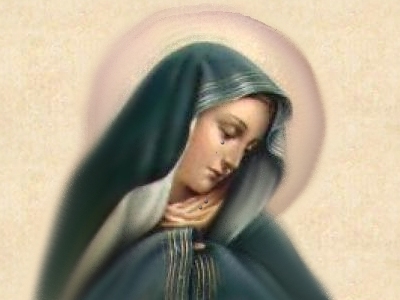 Dear Mary, obtain for me a true sorrow for my sins. The angel told Joseph to flee with Mary and the Child Jesus because of what might happen to Jesus. Consider the sorrow of Mother Mary when she and Joseph had to suddenly flee by night to protect child Jesus in that land of exile. How dread was the grief of Mary when she realized the Child Jesus was not with them. With sorrow in their hearts, Mary and Joseph returned to Jerusalem to look for the Child Jesus. 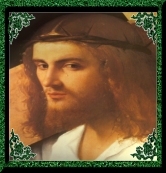 Mary meets Jesus, with the crown of thorns adorned His head! Blood ran down His face! A heavy cross on His back! Wounded, His whole body covered with bleeding wounds! Consider, the tremendous grief of Mother Mary as their eyes met. The Sorrow of the Mother seeing her beloved Son cruelly nailed to the cross. She stood at the foot of the cross. Behold Thy Mother! Let us resolve always to look upon Mary as our Mother and remember that she never fails her children. Ponder the bitter sorrow of Mary when the body of her dear Son was lowered from the cross and placed in her arms. Her Heart was pierced with a sword and His Heart was pierced with a lance. O mournful Mother, our hearts are softened with sorrow upon seeing such affliction. What grief for the Mother to accompany her Son's Body to the grave,as she gazed a last time on the lifeless body of her Son, and the great stone was rolled to seal the entrance to the tomb.